Galway businesswomen are being asked to take part in the latest cycle of Going for Growth - a programme aimed at helping ambitious Irish female entrepreneurs develop their businesses. Going for Growth is open to enterprising women from Galway and all over the country who are at least two years in business, own at least 50 per cent of their companies, and who are working full time and focused on growth. Participants will be offered a unique, peer-led learning environment with experienced and successful Irish businesswomen acting as “lead” entrepreneurs for the duration of the programme which starts in January 2012. 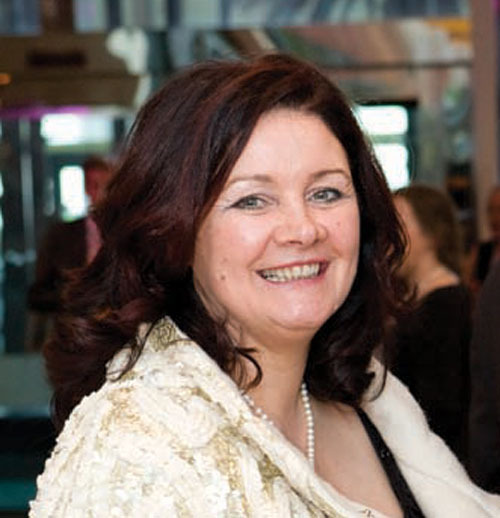 Graduates of former Going for Growth cycles include Celestine Rowland, founder of the Galway Business School, who says the programme was one of the most valuable professional experiences of her career. “Participation in the Going for Growth programme came at a critical time when our business and all businesses have been under huge pressure and there are challenges on all sides,” she says. According to Paula Fitzsimons, national director and founder of Going for Growth, the economic downturn has not put a halt to the huge entrepreneurial spirit that exists among Irish businesswomen. “Ireland needs all the entrepreneurial talent available to it and Irish women have a major role to play in delivering the economic benefits and job creation opportunities that successful entrepreneurship can bring. Going for Growth is designed to support women to fully exploit their entrepreneurial talent and potential,” she said. Fitzsimons said the recently published 2010 Global Entrepreneurship Monitor Report for Ireland, which she co-authored and which is sponsored by Enterprise Ireland, found that men continued to be more active as early stage entrepreneurs than women. · • Women represent just 29 per cent of all early stage entrepreneurs. · • Forty-two per cent of Irish men are more likely to know someone who has become an entrepreneur in the previous two years compared to just 27 per cent of women. · • Despite their increasingly high academic achievements, only 42 per cent of women in Ireland are confident they have the necessary skills and knowledge to start a business, compared to 57 per cent of men. · Forty-three per cent of women say a fear of failure would prevent them from starting a business compared to 34 per cent of men. The GEM research has made it clear women are particularly influenced by role models. For example, women who know an entrepreneurial role model are five times more likely to be an entrepreneur themselves. The 60 business women from around Ireland who participated in the last cycle of Going for Growth had a combined turnover of €42 million and employed almost 450 people. During the cycle the majority of the participants increased their turnover by an average of 10 per cent, created an additional 45 jobs, and several became exporters for the first time. Lead entrepreneurs include Colette Twomey, chief executive of the Clonakilty Black Pudding Company; Eileen Bergin, founder of Butler’s Pantry; Elaine Coughlan, partner Atlantic Bridge; Fiona O’Carroll, executive vice president of the New Ventures/Innovation Group; Julie Colclough, founder and CEO of Eurobase; Lulu O’Sullivan, executive chairman and founder of GiftsDirect.com; Mary McKenna, founder and managing director of Tour America; and Monica Flood, founder of OlasIT, which she was recently to a French public company. The Going for Growth programme is funded by the European Social Fund, Enterprise Ireland and the Equality for Women Measure, Department of Justice and Equality. Graduates include Nikki Evans of PerfectCard, named WMB Entrepreneur of the Year 2010, and well known entrepreneur, Nicola Byrne of 11890. Businesswomen interested in applying for the programme can access information and download application forms at www.goingforgrowth.com The closing date for receipt of fully completed applications is Friday November 25.